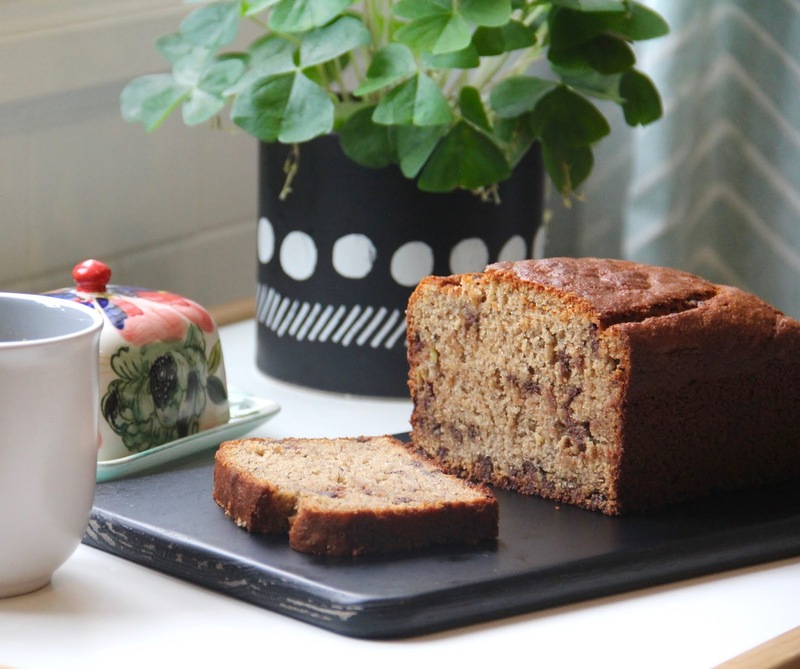 I've tweaked this banana bread recipe many times over the years. At different stages I've wanted it to contain much less sugar, then less flour, and I also wanted it to be high in protein since we eat it for breakfast most of the time. And I have to say, I think I've found the perfect balance of staying health-conscious, but not being overly restrictive. It still tastes rich and indulgent. But I feel good about my boys starting their day with it. 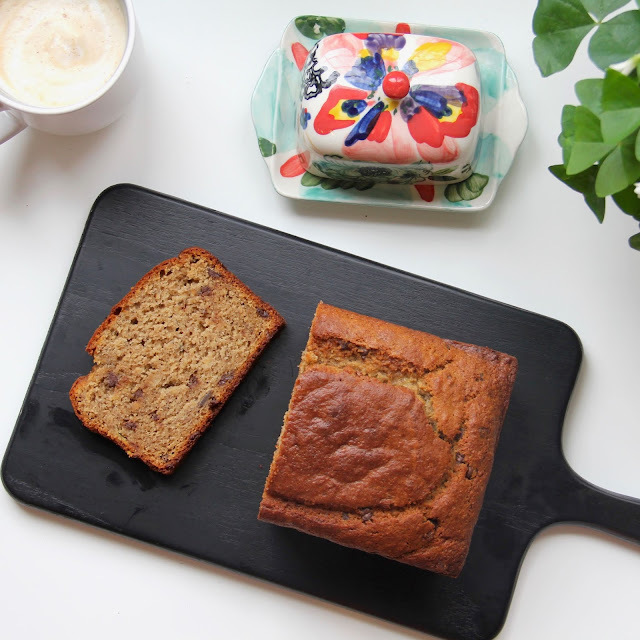 Sometimes I think I buy bananas just so I'll have an excuse to make this banana bread again. I've been making this exact version for the past 6 months and haven't felt the need to change anything else because it is just so good as is. So I figured it was time to share it. You can make it completely flourless (or gluten-free) by swapping the 1 cup of wheat flour with 1 cup of coconut flour or another cup of almond flour (the bread won't rise/dome quite as high, which is why I use the flour, but it is still very delicious without it). If you are using whole almonds measure about 2 heaping cups of whole almonds and pulse/process them to a fine powder in your food processor. It's ok if it's a bit granular. In a large bowl, mix the mashed bananas and eggs, then add the melted coconut oil and vanilla. Then add everything else and mix until well combined. Pour into a greased bread tin and bake in the centre of a preheated oven for approximately 60 minutes. Let cool in tin before removing.